Holocaust survivor testimonies began to be recorded in Vancouver in the late 1970s through a series of initiatives by Dr. Robert Krell—Holocaust survivor, founding president of the Vancouver Holocaust Education Centre and member of the UBC Department of Psychiatry—and the Standing Committee on Holocaust Education. In 1975, Holocaust survivors and scholars with ties to the Canadian Jewish Congress, the Warsaw Ghetto Committee and the Jewish Historical Society came up with the idea of forming a committee with a mandate of Holocaust education. Three non-Jewish academics were engaged in the planning process: Graham Forst, a professor at Capilano College, Robert Gallacher founder of the Department of Religious Studies at Capilano College and Dr. Robert Krell, a professor of psychiatry at the University of British Columbia, who had been hidden as a child during the war. Forst, Gallacher and Krell formed the Standing Committee on Holocaust Education, which operated in various levels of collaboration with the Canadian Jewish Congress as well as the Human Rights Campaign. Forst, Gallacher and Krell launched an ambitious series of initiatives deeply rooted in the Vancouver survivor community to document and provide access to the testimonies of Holocaust survivors who settled in Vancouver. Over the next several decades, these initiatives included annual symposia—educational conferences on the subject of the Holocaust—targeted at high-school students in the Lower Mainland, which continue still; each day-long symposium is held at UBC in May and is attended by more than 500 high-school students, who engage with survivor speakers in small group sessions, view films and hear historian lectures. Other initiatives of the Standing Committee on Holocaust Education included the recording of survivor testimonies, initially supported by the departments of Psychology and Psychiatry at the University of British Columbia and, after it was formed in 1983, the Vancouver Holocaust Centre Society for Education and Remembrance. After the opening of the Vancouver Holocaust Education Centre (VHEC) in 1994, VHEC staff took on the role of documenting the testimonies of survivors and carrying out interviews with survivors for VHEC teaching exhibitions. As of 2017, the VHEC collection contains the testimonies of more than 200 Holocaust survivors who settled in Vancouver, as well as testimonies of aid-givers, members of the resistance, liberators and military personnel who witnessed the aftermath of the Holocaust. Symposia on the Holocaust organized by the Standing Committee on Holocaust Education have been held in Vancouver since 1976. Recordings of survivor testimony were not a part of programming in the first few years. But the organizers saw how students developed strong connections with the personal testimonies of survivor speakers and by 1981 they included audio-visual recording in symposium programming, in order to preserve such experiences for future generations. When Dr. Robert Krell designed the subsequent Holocaust Documentation Project (described under the next heading), he continued to emphasise the teaching function of survivor testimony, with high school students as the intended audience for recorded testimonies. 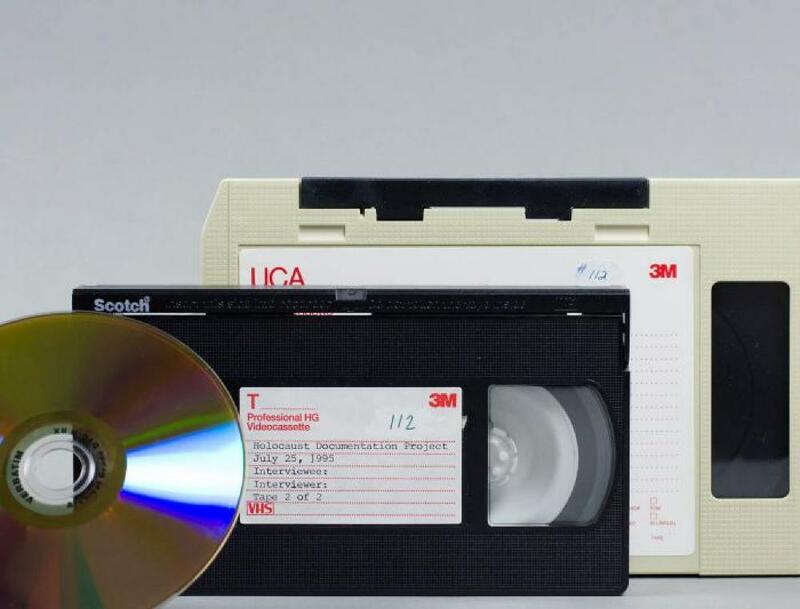 The 1981 recordings, along with recordings from 12 subsequent symposia, are available in the VHEC collection. In 1978 Dr. Robert Krell, a child survivor of the Holocaust, began recording the testimonies of Holocaust survivors in the Vancouver area. Having been actively involved with the annual symposia on the Holocaust, Krell had witnessed the impact of survivor testimonies on high-school students. As a result, he was moved to initiate a testimony-recording project. Krell hoped that testimony recordings would also provide a way for Holocaust survivors to share their accounts of survival with their own children, the second generation. Between 1978 and 1982, Krell recorded the testimonies of five Holocaust survivors, and of one Canadian liberator of a Nazi concentration camp. Two survivor testimonies (the first dating from 1979, the earliest in the VHEC collection) and the testimony of the Canadian liberator are available in the VHEC collection. In 1981, Krell took a break from his personal project and founded one of North America’s first national testimony-recording projects, with the support of the Canadian Jewish Congress, Pacific Region (CJC), with initial funding raised by Holocaust survivors. The testimonies recorded as part of Krell’s national project remained with the CJC. But Krell brought the experience he gained with this extensive testimony project to bear on his subsequent recordings, now housed at the VHEC. In 1983, Krell expanded his personal recording project, now called the Holocaust Documentation Project, by adding a staff team of Ernie Forrai, as project coordinator, and technical support from Colin Bryant, Brian McMahon and Chester Ptasinski of the Departments of Psychiatry and Biomedicine at UBC. The recording team took on two more coordinators, Tamara Genesove and Jean Gerber, during the following years and they continued to interview survivors from 1983 to 1993. By 1993, the Holocaust Documentation Project included 111 testimonies. Testimonies recorded between 1978 and 1993 are mostly two-hours long. They are divided into the telling of experiences before the war, during the war and after the war, a result of Krell’s assessment that most testimony recording projects of the era failed to give enough attention to survivor’s post-war lives, an essential and ongoing part of Holocaust history, and what Krell calls in his own testimony of 2011–2012, “survival after survival.” Giving equal attention to experiences before, during and after the war gives a more complete picture of how the Holocaust impacted survivors. Most of the testimonies recorded during this period were deposited with the Fortunoff Video Archive for Holocaust Testimonies at the Sterling Memorial Library at Yale University as part of an agreement between the VHEC and Yale. The Holocaust Documentation Project team considered duplication a valuable security measure and an opportunity to make the testimonies accessible to a wider audience. In 1991 the accessibility to students, educators and researchers of the testimonies recorded under the Holocaust Documentation Project was further increased with the creation of education kits and associated teaching guides for ten of the testimonies (with another seven to follow) and in 1992 of the first volume of synopses of 105 of the recorded testimonies. Material from the testimonies became accessible to the general public through the publication of books, and articles published in the Journal of the American Academy of Child Psychiatry and the Israeli Journal of Psychiatry Related Sciences. The Vancouver Holocaust Education Centre took on the activity of recording local survivor testimonies soon after its founding in 1994. From 1995 to 1998, the VHEC recorded 20 testimonies, under the joint direction of Dr. Robert Krell and fellow Holocaust survivor Dr. Peter Suedfeld of the UBC Department of Psychology, and coordination by Charlene Fell. In addition to fulfilling the VHEC’s mandate to record survivors’ testimonies for educational purposes, the project contributed material for research led by Dr. Peter Suedfeld into how people lived prior to the Holocaust, how they survived during the Holocaust and how these experiences affected their life after the war, with a particular focus on their relationships and outlook. Another phase of Suedfeld’s research project involved comparing the experiences of Holocaust survivors to that of Jews who lived outside of Europe during the Second World War, though the VHEC’s collection is limited to the testimonies related to Holocaust experiences. Thirteen testimonies from the UBC Project were sent to the Fortunoff Video Archive for Holocaust Testimonies at the Sterling Memorial Library at Yale University. Eighteen of the testimonies were summarized and included in the Guide to Video Archive of Holocaust Testimonies: Volume II created by the VHEC in 2001. Findings from the testimonies were published in the International Journal of Behavioral Development, the International Journal of Aging & Human Development, the Canadian Journal of Behavioural Science/Revue Canadienne des Sciences du Comportement, the Journal of Genocide Research and Holocaust and Genocide Studies, and shared in lectures given as part of the Monna and Otto Weinmann Lecture Series at the United States Holocaust Memorial Museum Center for Advanced Holocaust Studies by Dr. Robert Krell in 1997 and by Dr. Peter Suedfeld in 2002. Between May and July 1998, the VHEC recorded the testimonies of five Holocaust survivors living in Vancouver who had ties with the pre-war German and Austrian clothing industries. Interviews were conducted as part of the research for the VHEC teaching exhibition Broken Threads – The Destruction of the Jewish Fashion Industry in Germany and Austria: From Aryanization to Cultural Loss, exhibited in 1999. In addition to exploring in detail the survivors’ experiences in the fashion industry, the growing restrictions on the participation of Jews in the industry in the 1930s, and the post-war efforts to receive reparations for the loss of pre-war business concerns, the interviews also addressed their Holocaust and post-war experiences more broadly. Copies of the five recordings were given to the Jewish Museum & Archives of BC. In addition to the quotations from the testimonies that were integrated into the Broken Threads exhibition panels, the testimonies were configured as written oral histories, four of which were presented in the exhibition along with artefacts loaned by the survivors. Six testimonies in the VHEC collection were recorded by VHEC staff between May and July 1999 in conjunction with Shanghai: A Refuge During the Holocaust, a VHEC exhibition shown in partnership with the Chinese Cultural Centre. The testimonies include discussion of immigration experiences (the journey itself, expectations and adult lives in BC), as well pre-war, Holocaust and post-war experiences more broadly. Copies of the recordings were given to the Jewish Museum & Archives of BC. Quotations from the testimonies were used extensively in the exhibition, as well as in the accompanying materials for teachers and students. Segments from the testimonies also appeared in Zachor, the VHEC newsletter. In 2008, the VHEC received funding from Anita Shafran, Zev and Elaine Shafran and Rabbi Yosef Wosk for the renewal of the testimony recording projects. From 1999, when the previous testimonies were recorded, until 2008, when funding was received, recording technology had advanced considerably. The renewed VHEC Testimony Project (under project coordinator Toni-Lynn Frederick) has employed high-definition digital video to record the testimonies of survivors who had not previously been interviewed, as well as to re-record survivor testimonies using modern standards and technology. The testimonies recorded as part of the VHEC Testimony Project of the 2000s include survivors’ pre-war, Holocaust and post-war experiences, though often focusing more on survivors’ wartime experiences than in previous recording periods. Discussion covers themes of pre-war life, moments of transition, deportations, arrival at a camp or ghetto, camp or ghetto life, resistance, hiding and liberation. Wherever possible, the interview questions will also address photographs or other artefacts that the survivor has chosen to bring to the interview. Since 2008, portions of the testimonies have been used for tours and for exhibitions mounted by the VHEC, targeted at the general public and students. Between March 2010 and March 2012, related to the exhibition “Enemy Aliens”: The Internment of Jewish Refugees in Canada, 1940–1943, the VHEC, with Vera Rosenbluth as lead interviewer, recorded the testimonies of 16 refugees from Nazi oppression who had been interned in Canada during the Second World War. VHEC staff and an advisory group composed primarily of the interned men’s children spearheaded efforts to use internee's testimonies in the “Enemy Aliens” exhibition. The intention was to use the internee’s personal narratives to engage viewers with Canada’s exclusionary immigration policies and wartime measures, and with the associated questions of xenophobia and identity. Parts of testimonies were integrated into the exhibition on display at the VHEC and the travelling version of the exhibition, as well as in the bilingual “Enemy Aliens” online exhibition that the VHEC developed in tandem with the physical exhibition. “Enemy Aliens”: The Internment of Jewish Refugees in Canada, 1940–1943, is available at http://www.enemyaliens.ca. Between 2014 and 2016 the entire testimony collection was digitized and supporting materials were produced to enhance the accessibility and usability of the testimonies. Time-coded summaries of the testimonies are being created to guide users through the content of the testimonies. As these are produced they will be accessible online in individual records for each testimony. A web-based resource called Primary Voices: Teaching Through Holocaust Survivor Testimony was produced by the VHEC as a portal for educators and students to engage with the VHEC Holocaust testimonies. The site incorporates excerpts from testimonies into thematically-organized lessons and activities, usable in classroom settings or independent research projects. This resource fosters inquiry-based, personalized, and technology-enhanced learning techniques. An interactive timeline of the VHEC Holocaust Documentation Project is now available. The digitized testimony collection is incorporated and searchable on the VHEC Collections website, bringing together the digitized records of the VHEC museum, archival, library and testimony holdings. Visitors to the online collection may browse or search the testimony catalogue records, view related holdings in the collection, watch excerpts of the testimonies (where available) and select testimonies that they wish to view in full at the VHEC premises. The VHEC continues to record the experiences of local survivors through its long-standing Testimony Project and to support survivors as they share their first-person accounts at symposia, commemorative events and outreach engagements. As the community of survivors shrinks, the preservation and accessibility of their testimonies becomes even more important to the VHEC mission as a teaching museum that fosters human rights, social justice and genocide awareness through education and remembrance of the Holocaust. Many individuals, organizations and government agencies have contributed volunteer time, expertise, guidance and financial support to the projects described here. Without them, these projects would not be possible and the VHEC would be unable to carry out its mandate of preserving survivor testimony for the purpose of educating present and future generations on the effects of the Holocaust. The VHEC would like to acknowledge the support of the following organizations that provided financial and material support for the projects described here. Special thanks to Vancouver Holocaust Education Centre volunteers. Special thanks to survivors and their families for their involvement.